Everyone needs a good chip now and again. Having access to great Mexican restaurants here in Texas, I’ve grown very picky about mine. Store-bought chips usually just don’t cut it. 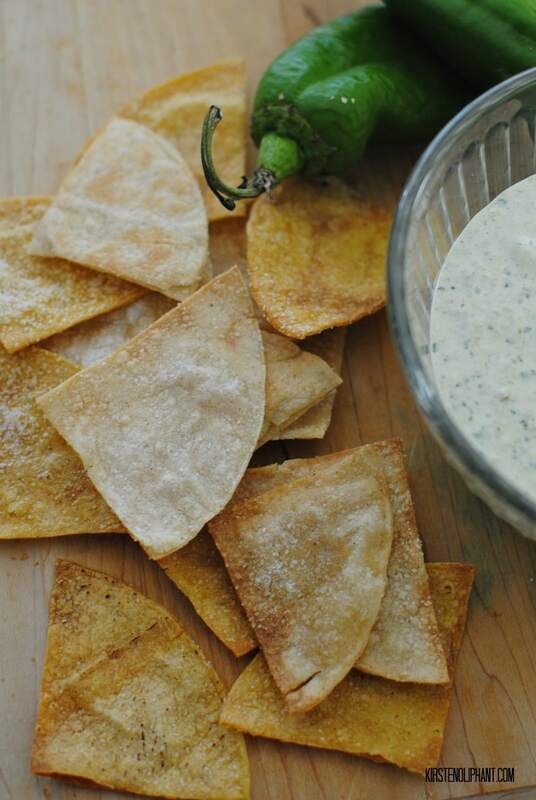 Enter these simple homemade tortilla chips. The upside is that they are easy to make, tasty, and healthier than the fried chips. The downside is that so far I haven’t found a way to preserve them. Which means that if you don’t eat them within an hour or two of making them, they get chewy. No bueno. But that simply means you need to eat them right out of the oven. These fit into the Stupid Simple category because you don’t need a recipe. Just a few ingredients and an oven. 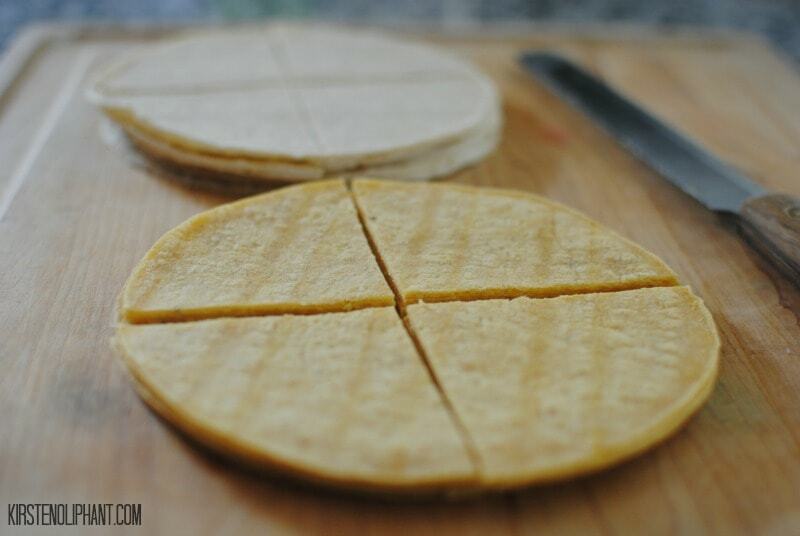 You can snag soft CORN (not flour) tortillas wherever they sell tortillas in your grocery store. For me, it’s usually the bread aisle or sometimes with the Mexican food. The yellow work better than the white, but the white ones weren’t bad. They didn’t crisp up as well. Cut the tortillas into fourths, then put them in a bowl and gently hand mix with 1 Tablespoon of extra virgin olive oil. When they are evenly covered, spread in a single layer on a cookie sheet and sprinkle with kosher (or regular) salt. Bake at 350 between 12-15 minutes. You want them to be crispy, but not burnt or brown. Serve these immediately while warm or within an hour or two. If I come up with a way to keep them crispy longer, I will tell you. The reality is that even if you use two cookie sheets at the same time, you will likely eat the whole batch in one sitting anyway. (Not that I did that or anything. Definitely not two nights in a row.) I paired these with my Hatch Chile Salsa. AMAZING. Homemade tortilla chips are cheap, lower calorie, and delicious. You can’t go wrong. Oh! And they are simple. Stupid simple. Are they corn or wheat based? My husband eats tortilla chips frequently because if they are corn based then they are gluten free. You use corn tortillas, so your hubby should be fine! I guess always look at the package because you never know what’s hiding in there, but they are corn tortillas. those look delicious! I have a million and one tortillas in my fridge (not sure if they are corn though…) and I could definitely do this! Thanks for sharing!